Please note start times: Most volunteer roles require an early start, you may be asked to start as early as 6am. Please note public transport: as the MS Walk + Fun Run is on a Sunday, check your transport options before applying. 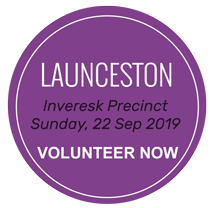 Parking is available, however if you are relying on public transport Sunday timetables may prevent you from arriving on time to undertake a volunteer position. With no experience necessary, the MS Walk & Fun Run has a volunteer role for everyone! All our volunteers receive an MS Volunteer shirt, hat, lanyard and lunch on the day! Located strategically along the route, our Course Marshals direct, encourage and cheer on participants, advise of approaching hazards and form an important part of the communications network. Support is provided by your Sector Manager. Set up and run the drink station to quench our participants’ thirst. Bring a friend or two and remember to cheer on participants as they come past! Rest sites allow our participants to rest, refuel and receive support. Registration/Bib Collection: Register participants on the day and distribute pre-registered registration kits. This role involves close attention to detail. Information: Provide general information to participants. Merchandise: Assist with the sales of official MS merchandise. Team Photos: Assist the official photographer with managing teams having their photos taken. Team Leader positions involve supervising a group and setting up and packing down your area. It is essential that Team Leaders attend a training session and arrive early on event day. Our equipment and signage crew work with the MS Team, helping with set up and pack down requirements of a site or course signage, while also responding to operational requirements during the event. If available, pre and post event duties will include truck loading and site set up. This is a very active job and the work is physically demanding. 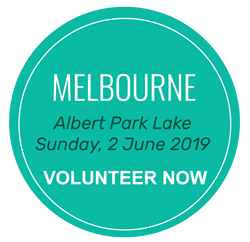 The MS Events Team are always looking for volunteers to help with tasks such as entry kit packing, mail outs, admin duties and more! Select your city below and register to volunteer today!